Most of the important things in life aren’t rocket science. They’re just difficult. Most of us don’t eat healthily or exercise enough. Yet the problem isn’t that we don’t know about healthy food and exercise. We just never get around to it. Other things take up our time for exercise or we think ‘that one extra slice won’t make much difference’. ‘I’ll start the diet tomorrow’. Finance business partnering is similar. Most of us know the basics. If we want to add more value in the business we need to prioritise the valuable stuff, we need to have time to do this, and we need to have the confidence to challenge and influence our business colleagues. 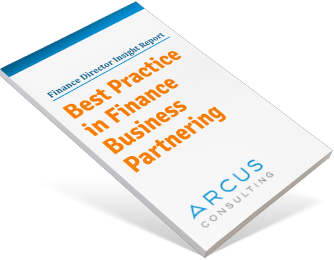 Yet most finance partners struggle to generate insightful analysis each week about their business, or to sit down with their business leaders to help them decide what actions they should take to improve business performance. Much easier to ‘work’ by reading emails, double-checking the numbers in the weekly reports, answering queries as soon as they drop into your Inbox, or generating tailored weekly reports for your business customers because the systems aren’t as good as they should be. And then to say dolefully “I couldn’t find the time to work on business partnering this week”. We know the things we should be doing. We need to turn that knowledge into action. I think we can learn from the people who do succeed with things like diet and exercise. Many people who suddenly start taking diet and exercise seriously do it because of a health scare. It jolts them into action. Hopefully we won’t wait for a big scare in our business to jolt us into taking business partnering actions more seriously. But we can track how we spend our time in terms of adding value to the business versus producing reports, or measuring the monetary value of the decisions we get involved with. How many meetings did you go to last week where you really didn’t need to be there and no decisions were taken? Others turn their healthy lifestyles into habits. Always exercising at the same time every day until it feels stranger not to exercise than to get on and do it. With business partnering it’s no good trying to start that big, valuable analysis at 4pm after ‘everything else’ is ticked off your list, or getting around to that valuable project on a Friday afternoon once the ‘real work’ for the week is done. I’ve found that carving out time in the mornings works well. Don’t start your day by dealing with all the e-mails in your Inbox. Start it by working on the one big valuable piece of analysis you’ve been meaning to do all week, or by meeting with the leader of your business area to act as a sounding board, or to offer advice on a business decision they’ve been wrestling with. 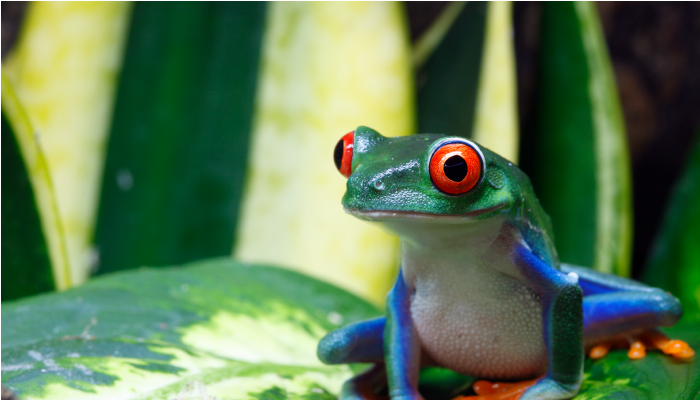 Mark Twain gave us an invaluable expression that helps with business partnering – “Everybody should start their day by eating a live frog! After that nothing else could get worse that day”. View your live frog as a valuable business partnering task and carve out the time at the beginning of EACH day, and it will get done. Leave it until later and you won’t get to it today (or tomorrow). Finding little measures that track your progress helps a lot too. You don’t lose weight every day, it fluctuates. But you can track your steps with a fitness band, or control your food intake by counting calories. Similarly, business partnering can take time to deliver measurable value. But you can track your progress by measuring time spent, value delivered or feedback from your business colleagues. Add a bunch of these ‘healthy habits’ together and all of a sudden, business partnering starts to work for you. Without needing any miracle cures or crash diets! What’s the best ‘dieting strategy’ to make business partnering work for you? And what’s the valuable activity (your live frog) that you’ll undertake today, tomorrow and the next day? What is the role of Finance in your business? There’s a reason the car windscreen is bigger than the rear-view mirror!